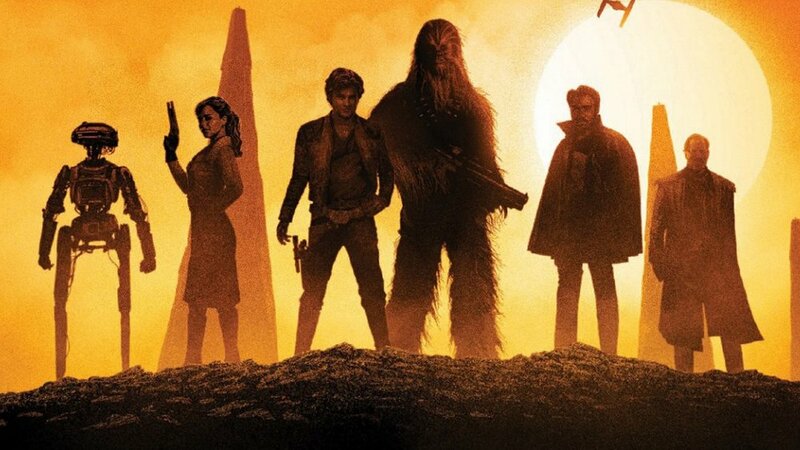 Solo: A Star Wars Story premiered last night and the initial reactions have flooded social media! In case you're wondering what people thought, for the most part, it sounds like Star Wars fans are going to enjoy it! The movie received a good amount of high praise from those who had a chance to see. There are a few people that did have issues with it, but some things that almost everyone agrees on is that the movie is a blast and Donald Glover as Han Solo is one of the best parts of the film. There are even some people who praise Alden Ehrenreich as Han Solo, which is great to hear! A lot of people were worried about his portrayal of the iconic character. I'm actually going to see the movie later tonight and after reading all of this great buzz, I'm pretty stoked! I'm just a huge Star Wars fan. I've been a fan since I was a kid, so of course I'm going to be excited about Ron Howard's Solo film! It's a Star Wars movie! How can I not be excited!? You can check out a bunch of Twitter reactions for the film below. Are you surprised that the movie is getting a lot of love from the critics? Do you think fans and audiences will feel the same way about the movie? Wow. #SoloAStarWarsStory was a TON of fun. Felt more like a Star Wars movie than Rogue One. Don’t look up spoilers! It’s full of surprises. He shows up about halfway through and is then a strong supporting player. Glover is GREAT.